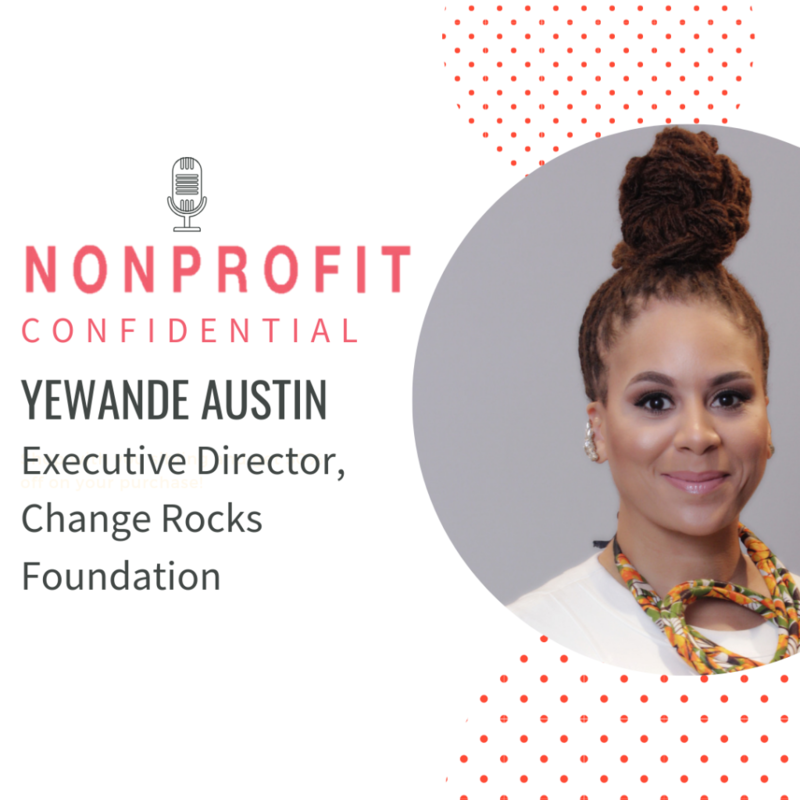 Today’s episode features Yewande Austin- she is the executive director of the Change Rocks Foundation and the Global Institute for Diversity and Change. Yewande has created a multi-disciplinary approach to diversity and inclusion that has transformed both nonprofit and for-profit organizations. She development the country’s first recognized diversity healthcare curriculum for pre-health and professional health science students. These days, she focuses her efforts on Alheri Village, which is a resettlement community she developed in Nigeria for Boko Haram conflict survivors. In this conversation, we talk about tips for implementing a diversity and inclusion strategy for nonprofits, holistic approaches to problem solving, maintaining integrity when dealing with funders, and so much more. For more information on Yewande and her work , please visit: www.changerocksfoundation.com or www.globalinstituteforchange.com.